Eryn is a psychologist and co-owner of Clinical Psychology Victoria. She completed her Master of Psychology (Clinical) and Graduate Diploma in Psychology at Deakin University and is also a qualified primary school teacher. Eryn has experience working with children, adolescents and adults in community and private settings. 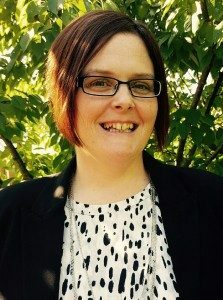 She has worked within the brief intervention team for child and youth mental health and with adults of all ages and presentations in a public mental health setting. While Eryn is interested in working with a broad range of clients, she has a special interest in working with those who have experienced trauma or are living with anxiety. She also enjoys working with those who identify as GLBTIQ and supporting them in the issues they face. Eryn relies on evidenced based treatments which she tailors to the needs of her clients. Her training has been primarily in Cognitive Behavioural Therapy and Solution Focussed Therapy which she incorporates into a strengths based approach to treatment. She also has a particular interest in Interpersonal Therapy, Schema Therapy, Mindfulness and Motivational Interviewing. Eryn’s hope is that you will find the connection, tools, tips and motivation you need to help you achieve your goals and live the life you seek.